A problem of successful communication of philosophical knowledge is especially present for the ontologies whose insight into the real has grounding in first person experience. I will show how this problem is solved in the Phenomenology of Life of Anna-Teresa Tymieniecka, by comparing the central principle of her philosophy, sentience, with the sat of Śaṅkara’s Vedanta. The communicological properties of the Phenomenology of Life have to be understood within the framework of human science and not the positivistic studies of communication. 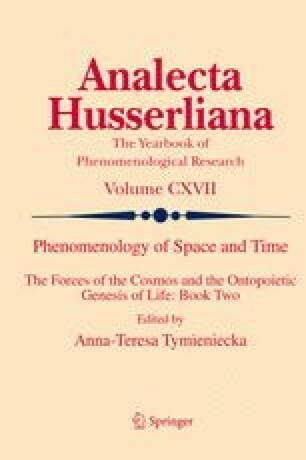 The discource of the Phenomenology of Life implies not only consumption of ideas, but a visceral repositioning of direct intuition of the reader towards the Logos of Life, the ever-present Other in Tymieniecka’s interrogation. Thus, a spectrum of communicological virtues in the Phenomenology of Life can be outlined, beginning from a participatory quality, to the anchoring of interrogation in the embodied sentience, to following the living logos with its novum-s and emergencies, and to the dynamic unification. The traditional forms of communication, such as Hindi satsang or Islamic sohbet, help us to understand that realization of the full potential of the Phenomenology of Life depends also on the cultivation of particular virtues in the readers, e.g. receptivity, sincerity and willingness to reorient their awareness from static ontological schemata of the natural attitude towards a gestalt of the living, evolving logos. This is a lecture given at the Seminar III. Post-Metaphysical Dialogue, Theme: «About communicative being in post-metaphysical times/Dell’essere che si comunica nel tempo della Post-metafisica». March 28, 2012, in the University of Macerata, Italy. I am grateful to Professor Daniela Verducci, who organized the seminar, for proposing the theme.